Next week we will be in attendance Walker Stalker Con London a two day event that celebrates The Walking Dead, Fear The Walking Dead and Game of Thrones. This will be my first Walker Stalker event which is international and takes place in a variety of cities around the world to allow the fans a chance to see their favourite stars in person. There are over 30 announced guest stars heading to the London Excel Centre from not just The Walking Dead but also Fear The Walking Dead, Game of Thrones and American Horror Story. Free Celebrity Q&A Panels let the fans ask their burning questions direct to the cast while fans can purchase photo ops and autographs in advance or at the events. Here are some of the guests that have been announced. 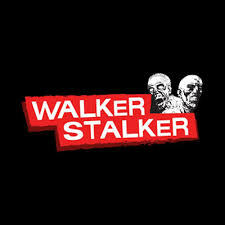 Walker Stalker Con is run by FanFest Events who also run the Heroes & Villains events. You can see some of our coverage from the last Heroes & Villains – London below. Will you be attending Walker Stalker Con London or Heroes & Villains London or any other Fan Fest events this year? Let us know in the comments.